With the Adapter 1, it is a perfect fit with the Aqua Pak 5-gallon Water Container. Truly you can save up to 60% of your water that would otherwise be wasted. Plus, the ease of use is worth it. It fits right into the spigot. 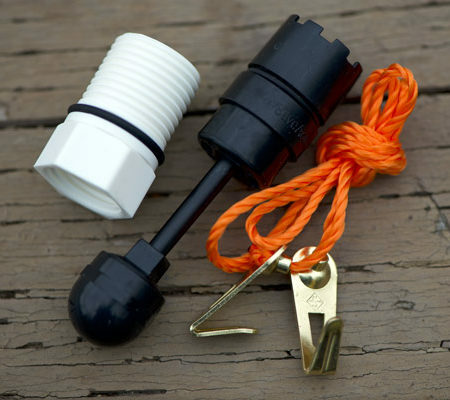 So, instead of turning the spigot on and off and wasting water as it runs while you do simple tasks like wash your hands, the adapter allows you to simply push up on the rod allowing only a small amount of water to come out. As you release the rod, the water stops. Genius! If you purchase the Aqua Pak, you will most definitely want this tap and adapter! Also, wonderful uses for camping, boating, girls camp, hunting, picnicking, etc.